The massive influx of settlers to the Canadian prairies changed the political landscape in western Canada and led the government to reposition itself with regard the region’s development. The new arrivals were entering territories located between Manitoba and British Columbia not yet officially part of the Canadian Confederation. Rupert’s Land belonged to private companies. With economic development on the rise and increased goods transportation, Laurier made two major decisions: the creation of two new provinces and the construction of a new railway linking the two oceans. On July 30, 1903, Laurier presented his railway plan to Parliament. In short, the government of Canada would become the owner of the trunk between Moncton and Winnipeg, and the company created for the occasion – the Grand Trunk Pacific – would oversee the construction and own the trunk from Winnipeg to Prince-Rupert. The government would receive lease income that would repay the investment. 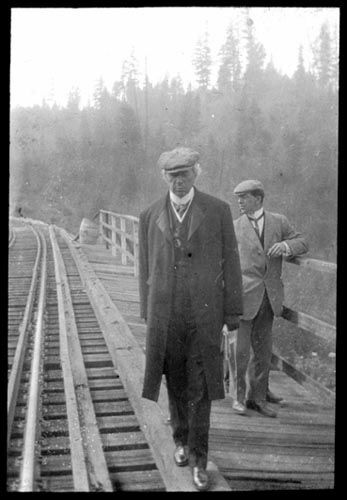 The Grand Trunk Pacific Railway project would be completed, but its construction would not respect the terms set forth initially by Laurier. Rather than the $13 million foreseen, the trunk that was the property of the government would cost $170 million. “The constitution, as I have already said, intends that the opinion of each be freely expressed as it is held at the time of its expression.” The project would be marred by numerous episodes of corruption and during its construction in 1907, the tragic collapse of the centre span of the Quebec Bridge. The project would be a financial fiasco and an enormous millstone for Laurier and his government. At the political level, Laurier had to legislate to regulate the demographic explosion in the prairies. As a result of Laurier’s efforts to increase the population from 1901 to 1911, the Prairies welcomed more than 700 000 newcomers. Laurier set about officially creating two new provinces and integrating them into Confederation. This integration revived debate in Ottawa on the federal regulation of languages of education and the awarding of territories. So began a second debate on separate schools and the “Canadianization” of these immigrants. 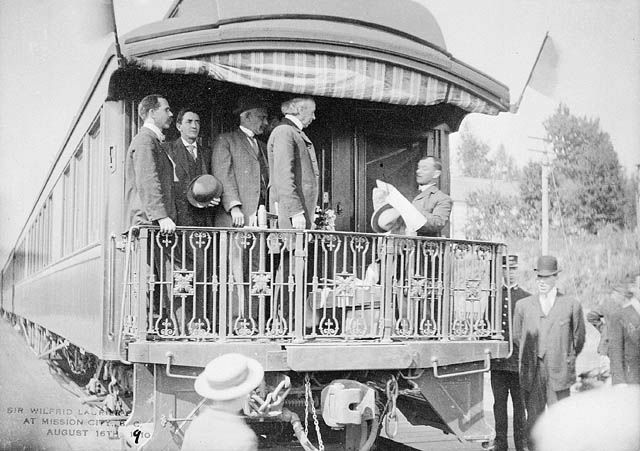 On January 5, 1905, Laurier officially launched discussions to create two new provinces. Laurier remained calm and patient during the discussions on the fine points of the project. Historian Réal Bélanger even went so far as to state that he “embraced quiet diplomacy”. Unbeknownst to many ministers in his own government, on February 21 Laurier tabled well-worded draft legislation proposing that the federal government retain the control and disposition of the public domain; that the new provinces obtain generous financial compensation and that provisions be made for separate schools. The Autonomy Bill was supported by Clause 16 drafted for this circumstance and guaranteed by Section 93 of the British North America Act. When the astute politician tabled the draft legislation, the Members of Parliament were faced with a fait accompli. At the time, Laurier was viewed by many as a hero, standing tall and courageously before the Opposition. Later, the history of the integration of these two provinces was marked by the revolts that were to follow.